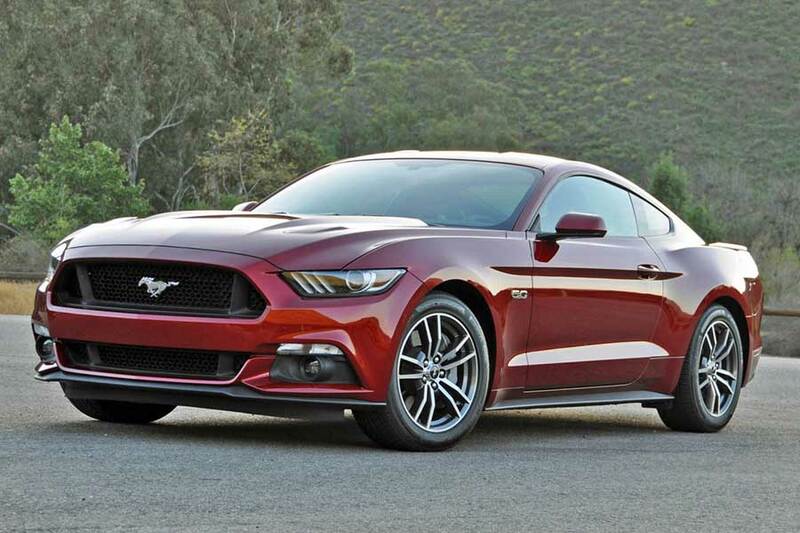 Ford introduced the new features of the 2016 Ford Mustang GT EcoBoost. The base V6 model and the Shelby GT350R reassure that Ford is all about power, given that each vehicle delivers at least 300 horsepower. The transcending engine this time comes with a lot of new characteristics that not only improve the performance of the car but its appearance. The new 2.3L EcoBoost engine design, present 310 horsepower and 320 lb.-ft of torque, which is tested with 93-octane fuel. An optimally sized twin-scroll turbocharger separates the exhaust runners in two chambers that leads to the turbine. This process of giving the car high-pulse energy to the turbine wheel, sounds a little bit complicate but it all leads to a ultrafast time to torque. Thus, this new vehicle is a “marvel of power and efficiency” as Ford called it. For those unfamiliar with the term “torque”, is just the moment of force, is the tendency of a force to rotate an object about an axis, fulcrum or even pivot. Just as a force is a push or a pull, a torque can be thought of as a twist to an object. The new Mustang Shelby GT350 presents a ferocious-looking, track-focused vehicle, with whole new features, such as adaptive dampers that adjusts the car thousands of times per second for a dynamic, adrenaline-fueled driving experience. Also, giant brakes that are part of the enchantment of this car. Ford partner, Brembo, created this calipers with cross-drilled, two piece, highly-engineered brake rotors. The dampers, as we said are huge: 394mm (15.5”) rotors up front and 380mm (14.9”) rotors in the back that gives the Shelby GT350 its track cred. This is the Ford’s first ever flat crank V-8 engine. “The heart and soul of this beast lives in the 5.2L V8 engine, and produces 526 horsepower.” Ford reported. The Shelby GT350 delivers 429 lb.-ft of torque. “Ever since Ford announced that its terrific new Mustang would be available worldwide, requests for Shelby versions of the vehicle have rolled in from across the globe”, said Joe Conway, Co-CEO of Carroll Shelby global and CEO of Shelby American. They will add the Shelby package to a Ford Mustang that a customer has purchased locally. Steelers Lounge reported. However, for those who also like classic Mustang legends, the GT 5.0L V8 design, kicks out 435 horsepower, and 400 lb.-ft of torque, with an improved electronic line-lock and a launch control. This engine is only available on Standard on GT and GT premium models. By last, the Mustang 3.7L V6 is a perfect version for those who are looking ideally balanced power, the engine shows an idea of it, better displacement and efficiency. The 3.7L delivers 300 horsepower, 280 lb.-ft of torque, and EPA estimated rating of 19 city/28 hwy/22 combined mpg, the actual mileage will vary. In addition, the engine is available Standard on V6 Fastback model.